Ophrys episcopalis is a slender plant with a height of 10 to 40 cm. It has a rosette of 2 to 6 leaves of a bluish-green colour. The loose inflorescence develops 4 to 10 flowers with spreading sepals and small petals. 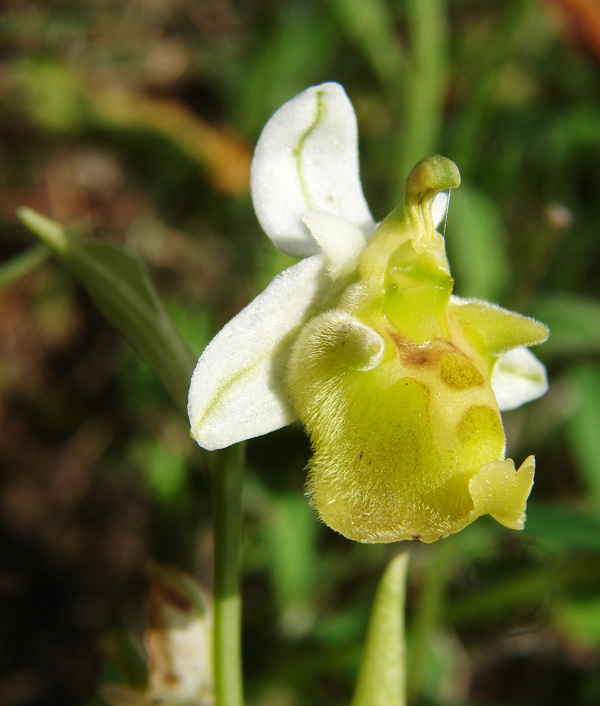 The broad labellum has prominent protuberances and a prominent appendage. In general, the flowers of Ophrys episcopalis are vividly coloured. The sepals can be white, pink or purple. The petals are slightly darker. The labellum is brown and has a characteristic pattern. 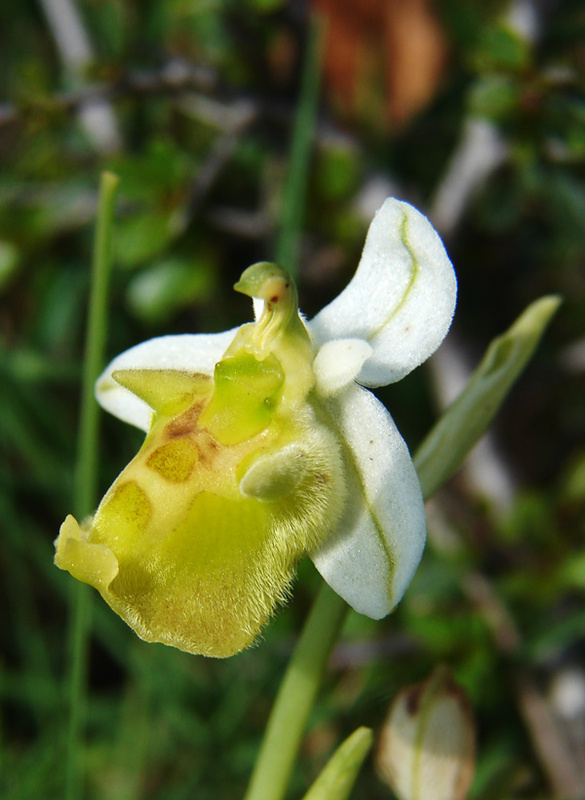 In the rare case of reduced or missing colour pigments, the flowers have a yellowish or light-green labellum.